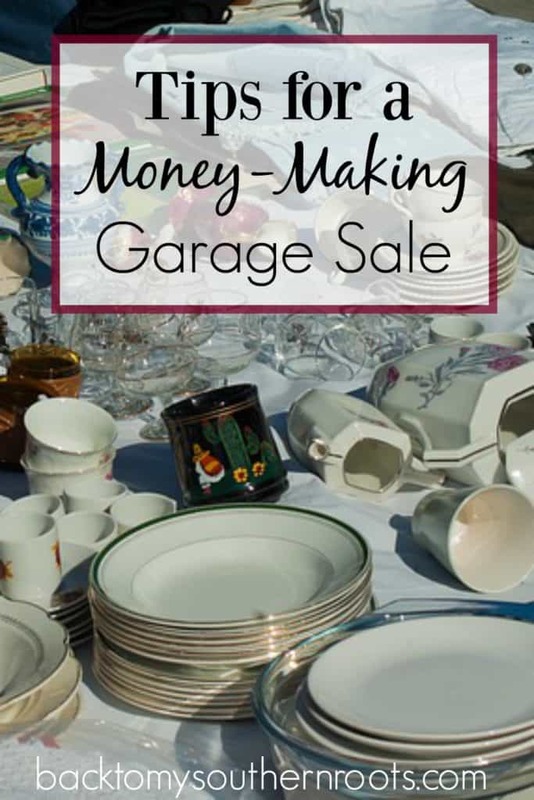 Garage sales are a great way to make some extra cash. You can make a few hundred dollars, in a weekend, if you plan it out well, and follow some of these tips for a successful sale. We’ve had several garage sales over the past few years, and we’ve decided that having the garage sale on a Friday and Saturday will get you the best results. Serious garage-salers are out on both Friday and Saturday. It’s a lot of work, but you will have two days to sell your items. Try to pick a date when the weather is clear, and sunshine is on the horizon. More people turn out for garage sales when the weather is nice. 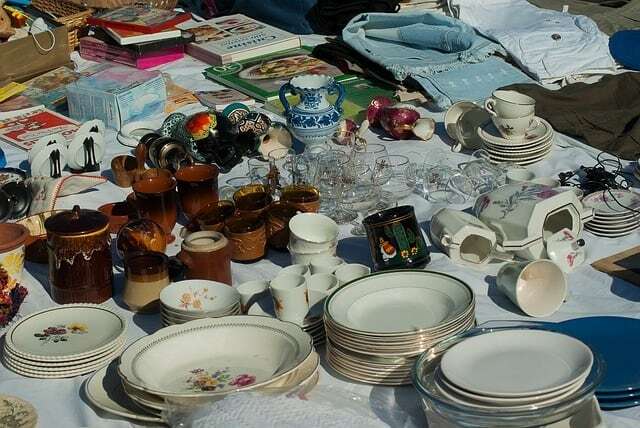 Spring and Fall garage sales do well, and you don’t end up melting in the summer heat. It’s best to start at one end of the house and move to the other, searching for things to sell. Look through every nook and cranny and decide if you need to keep an item or sell it. I try to stick to the rule that if I haven’t used something in a couple of years, I don’t need it anymore, and it goes into the sale pile. It’s not always easy to make that decision, but it keeps my closets clean. If you have something that you believe is not worth much, don’t assume you won’t have a buyer. I have sold some of the craziest items in garage sales. Old trash cans, worn-out shoes, cheap computer cords, and so much more. I’ve even placed broken tech items in my garage sales–someone might be on the lookout for a particular item and have the ability to fix the broken items. Keep in mind that you’re not going to get top dollar for items at garage sales. I’ve been to plenty of sales where people are asking way too much money for their items, and I decided against the purchase. Shoppers go to garage sales to get things cheap. So, be sure to price accordingly. Tip: Price and tag your items as you gather them throughout the house. This will save you hours of pricing before the sale. When I host a garage sale, I want to make as much money as possible. I’ve paid for ads in the local newspapers in the past, but I now try to stick to advertising in free publications. Craigslist, garage sale apps, and some local thrifty newspapers will list your information for free. That keeps money in your pocket. I’ve also placed signs at the entrance to my neighborhood on the days of the sale. I’ve stopped for plenty of garage sales after spotting a sign. (Be sure not to place signs on private property or city property, or they might end up removed). Tip: If you live deep in a neighborhood, make sure you leave a trail of signs that will accurately direct people to your house. I’ve followed trails of signs that seem to lead to nowhere and given up fast. Ask a few customers throughout the day if they found your house easily–unfortunately, I’ve had people steal my signs, or turn them the wrong way (weird, I know). Our neighborhood holds a yearly garage sale. The HOA puts a sign at the entrance and places an ad in the local newspaper. I still try to post on Facebook or text the word out to friends to help with turnout. Last year, our neighborhood was packed with people hitting the garage sales. I even took the time to visit the others and found a 32-inch HDTV for a mere $35! I am still talking about that amazing deal today. Be sure to get plenty of money to make change. Many items are priced below $1, so you will need plenty of coins and plenty of ones. I usually get $50, mostly in ones, quarters, nickels, and dimes. If you have an apron with a pocket, that’s a safe and great way to keep an eye on the money. I have bank bags but don’t like to leave them unattended. Sadly, there are people that will steal right out of your garage while your back is turned. We’ve even had people steal 25-cent items. I usually have a chest of bottled ice water ready for the day. Many times people are hitting a lot of garage sales and get thirsty. It’s another way to make a few dollars if you sell the bottled water, as well. I also give my kids a chance to earn some extra money by selling lemonade to buyers, if they’re interested. Don’t miss out on the early birds. Most people like to get to garage sales early in the morning. I’ve had people show up in the dark while we’re pulling the tables out of the garage and setting up. It can be a little frustrating, but let them look and purchase items if they’re interested. After all, you’re there to make money. Tip: Be ready before the sun comes up. 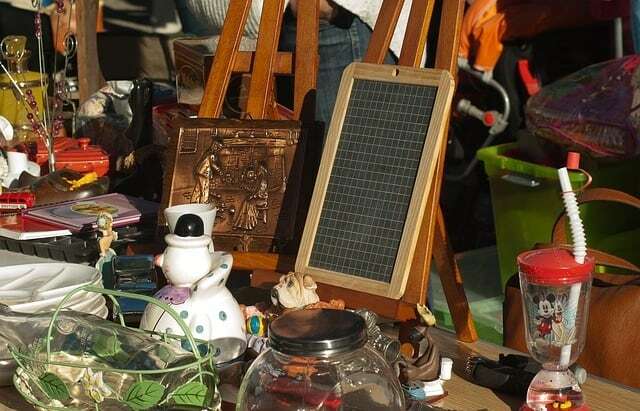 Some of the most serious garage-salers will be there ready to spend their money. I always have items left over from garage sales. I either load everything up in my car and take it to a donation center (get the tax donation receipt), or put it back up in my attic for the next sale. If something doesn’t sell this time, it might at the next sale. Tip: Keep your price stickers on the items if you decide to have another garage sale down the road. It will save you the time and hassle of repricing everything. Hosting a garage sale is a lot of hard work, but can pay off at the end of the day. You can make several hundred dollars, and clean up the house at the same time. Tip: Items that tend to sell well include baby clothes, baby items, technology and vintage items, and kitchen wares.